A talk by Classic FM’s star presenter with Beethoven's Sonata for violin & piano No. 5 in F major ("Spring"), Op. 24 played by much awarded violinist Joo Yeon Sir. She will be accompanied by Irina Andrievsky on the piano. Currently presenter of the morning show on Classic FM, John began his career as a journalist at Reuters and from 1972 to 2004 was a newsreader for ITV News. He also anchored or contributed to countless special event programmes, including royal occasions, the budget and ITN’s election coverage. In 2008 he was recognized by the Royal Television Society Television Journalism for his achievement throughout his career. 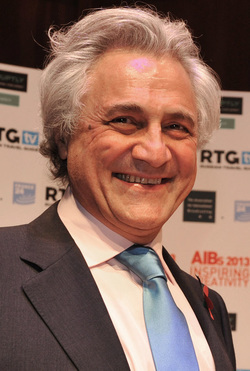 He joined Classic FM in July 2010; the following year he took over presentation of the weekday morning show from the previous host, Simon Bates. He is a fan of Ludwig van Beethoven and has become one of the UK’s leading experts on the composer and his works, publishing five books on the subject. Korean-born British violinist Joo Yeon Sir trained at The Purcell School. and is winner of the prestigious The Arts Club Karl Jenkins Classical Music Award 2014 in association with Classic FM, and the Royal College of Music's President's Award presented by HRH The Prince of Wales. She has performed at Wigmore Hall, Manchester Bridgewater Hall, Fairfield Halls, St. Martin-in-the-Fields, St James's Piccadilly, Victoria and Albert Museum, National Gallery and St James's Palace in the presence of HRH The Prince of Wales. Irina Andrievsky ​is a classical pianist from Russia. She forged a successful career as a piano teacher in Israel before moving to England. She now frequently gives solo and duo performances.